At our dental office, our goal is to give you so much more than just a beautiful smile and optimum function—we want you to have an enjoyable experience at the dentist as well! We strongly feel the “usual and customary” is substandard. From your initial contact with us, you will be assigned a dedicated Care Nurse who will be by your side and with you from check-in to checkout, and you’ll be treated like you’re the only patient we have, because you will be! We only see one patient at a time so Dr. Steven Feit and our team never have to rush. This is the foundation upon which we established and built our dental office from scratch since 1990 and we have never wavered since. Your comfort, health, and overall well-being will always be our only focus while we strive to give you the healthy, longest lasting, functionally sound, and attractive smile you deserve. As anyone with stained, damaged, or missing teeth will tell you, these dental problems can cause issues well beyond someone’s oral health. The world can seem very closed off if a person feels like they have to hide their smile. 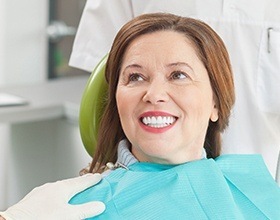 At our practice, we’re able to improve our patients’ oral health and appearance at the same time using a wide variety of restorative and cosmetic services. Whether your teeth need a little or a lot of help for you to look and feel your best, we’re ready to provide it, and we know you’ll love the results. 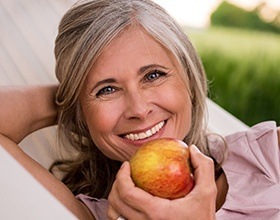 One of the most common problems people with missing teeth have to deal with is malnutrition, because nutritious vegetables and proteins are usually not very denture friendly. We’re ready to help patients with missing teeth look forward to meals again thanks to our custom-made, restorations. Whether you are missing a single tooth or all of them, Dr. Feit can custom design replacement teeth just for you that will ensure you’re able to enjoy a varied and healthy diet with ease. When it comes to rebuilding smiles, Dr. Feit is a true expert. He is a certified prosthodontist, which means he took 2 additional years of specialized training after completing dental school dedicated to replacing and repairing the teeth. Now, with over 30 years of experience and thousands of hours of continuing education under his belt, Dr. Feit is well trained and ready to help you reclaim your complete smile again using the latest techniques and most lifelike materials available today. Gum disease is the most common dental problem in the entire world, and it’s even the number one cause of adult tooth loss here in the U.S.! 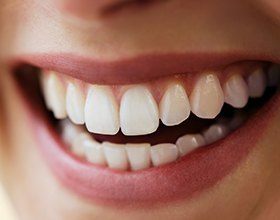 We take the health of the gums very seriously, which is why we provide periodontal (gum) screenings at every checkup and even have a dedicated hygienist specially trained to help patients manage and eliminate the infection. With our diligence, we’ll make sure your oral health is always on the right track. Does your jaw feel stiff in the morning? Do your teeth look like they’ve been worn down? Have you been to multiple doctors about chronic headaches, & they can’t figure out what's causing them? All of these issues can actually be from the same place: the TMJ, or temporomandibular joint. This is the joint in your lower jaw, & it’s one of the most important & overlooked aspects of oral & overall health. Dr. Feit has decades of experience diagnosing and treating these kinds of problems here in Boca Raton, helping our patients get out of pain & enjoy their lives to the fullest again. Dr. Feit’s research team has identified anatomical relationships & parameters that enhance the results of various treatments he uses to treat TMJ/TMD problems, pain, & dysfunction that are tried & true & proven to be successful over the past 30 years. He is in the process of writing the articles for publication currently. Do you have a denture that is constantly moving around in your mouth? Is your greatest fear that it will pop out suddenly while you’re with friends or family? With dental implants, we can quickly put that fear to rest. Using implants we can secure a set of teeth directly to your jawbone just like natural ones, finally giving you a denture you can trust. Implant dentures look better, last longer, and provide better function compared to their removable counterparts, and you can get them right here in Boca Raton with Dr. Feit.